Read all of the outstanding responses to today’s excuse here. Will rookie hazing help the Titans win more than six games? The Tennessee Titans finished the 2010 season tied for last place in their division. With such a disappointing record, you’d think the team would be spending precious training camp hours on activities that actually contribute to winning football games (e.g. reviewing blocking assignments, watching film, timing routes, etc.). But the “team,” if you can call it one, seems more interested in taping rookies to the goal post and dumping ice-cold water all over them. As we’ve seen many times over, treating candidates like second-class citizens only breeds apathy and resentment. On the other hand, regarding the chapter’s newest members as contributing, honorable, model brothers-in-training creates lasting, meaningful relationships based on shared positive experiences. Hazing thrives on misinformation and a false sense of trust. Also convincing and charismatic, hazers take advantage of candidates who may not know any better. If you can believe it, this sage advice came from the profile of a storied horse trainer. There are plenty of practical reasons to begin every chapter meeting with The Ritual. Most chapters only convene for 1-2 hours per week so opening with The Ritual sets a serious tone for the meeting. The Ritual asks participants to wear coat and tie, which contributes to an atmosphere conducive to accomplishing the business of the fraternity. Beyond fostering a professional atmosphere and providing other tangible benefits, The Ritual serves a much deeper function, namely, to remind us of Sigma Nu’s purpose. Between the hectic day-to-day activities of running the chapter, sometimes it’s easy to forget why we’re all doing this fraternity thing in the first place. The Ritual serves as a reminder of Sigma Nu’s purpose and a weekly renewal of the oath each Knight swore to uphold. Without publishing any secrets of the ceremony, the opening of The Ritual essentially asks each Knight to renew the oath he took as a candidate. Moreover, the closing reminds us all that the passages recited each week are not just words; rather, they are a call to action. While The Ritual is secret, non-initiates should be able to decipher our Ritual by observing our actions. The Ritual serves as a guide for honorable behavior. 3. Distinguishes us from other organizations; unifies all Sigma Nu chapters. 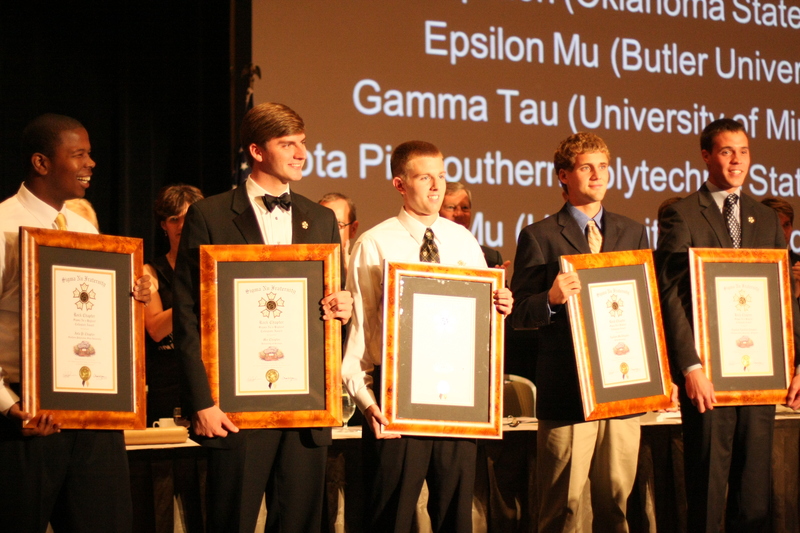 Sigma Nu maintains nearly 180 collegiate chapters throughout North America. Naturally, each chapter develops its own unique culture over time. Some chapters boast 200+ members, each involved in a bevy of other campus organizations, while other chapters maintain a smaller brotherhood all recruited from the football team. Despite the menagerie of interests among different chapters and even members within the same chapter, each Knight is united by the same oath to live an honorable life. It’s a moving experience to watch Brothers from Boston, Macon and Santa Barbara stand side-by-side reciting the same ritual during conclave. While The Ritual unites tens of thousands of Sigma Nu Brothers who’ve never met, the fraternity ritual also distinguishes us from other (inter)national fraternities. However, the differences are much smaller than most realize. In fact, a confidential study administered by the North-American Interfraternity Conference concluded that ritual ceremonies for the prominent social fraternities showed strong similarities. 4. Teaches us to eliminate hazing. In a subtle way, The Ritual also presents a problem for the typical hazing logic. According to the hazing narrative, candidates must complete a series of arbitrary tasks to prove they are worthy of initiation. As the opening to ritual shows us, however, we don’t earn our membership in Sigma Nu by submitting to activities that have nothing to do with ethical leadership. Rather, we “earn our badge” each and every day by remaining faithful to our Knightly vows.